Trying to find a table in Melbourne for six people is no easy feat. 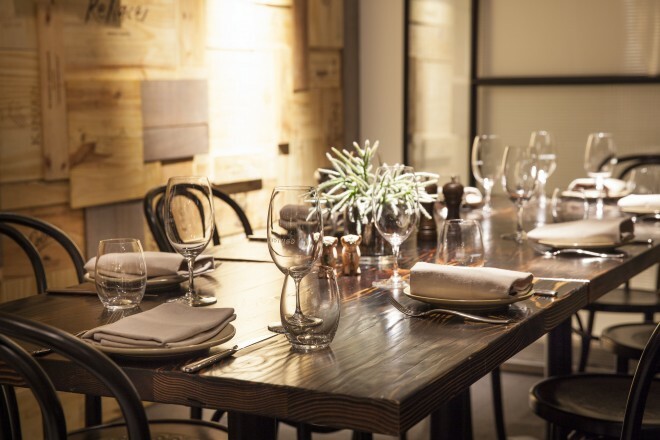 All the latest restaurants only take bookings for 8 people or more, but if you can manage to secure a table for a smaller group you usually have to choose from two “sitting options”, one that’s at seniors eating hour and one that means you’re so starving you need a pre-dinner snack! Throw a few dietary requirements in there and you’re really pushing the friendship. 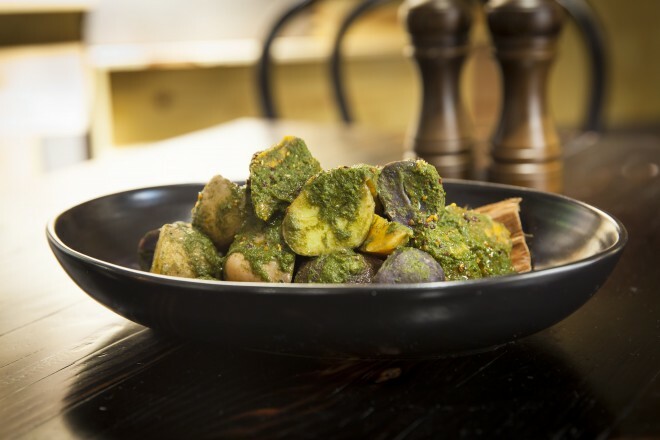 With a vegetarian, a seafood allergy and no red meat eater in the mix, a Peruvian restaurant might seem like an odd choice but Pastuso came to the party! 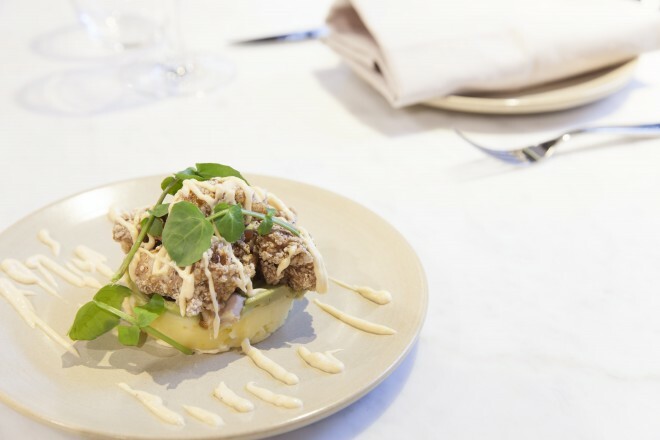 The latest venture from the team behind San Telmo calls itself a Cevicheria, Peruvian Grill and Pisco Bar so it’s specialities lie in ceviche (fresh raw fish cured in citrus), Peruvian street food, smoked and grilled meats, and Pisco inspired cocktails. 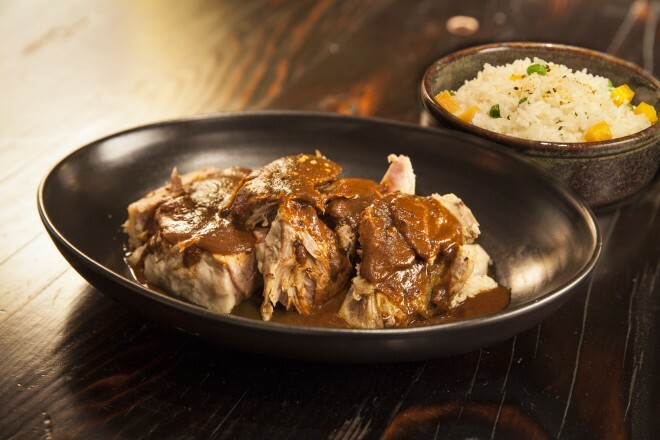 This combination of flavours promises to take you on a journey along the coast, through the Andes and into the jungle of Peru’s food and culture! We kicked off our meal with a selection from the street food menu: HUGE potato croquettes filled with silverbeet, mushroom and cheese (Papitas Rellena de Carretilla), crunchy cassava chips (Yuccas) and delicious marinated fried chicken with avocado, tomato and Peruvian yellow potato (Nuestra Causa de Polla). 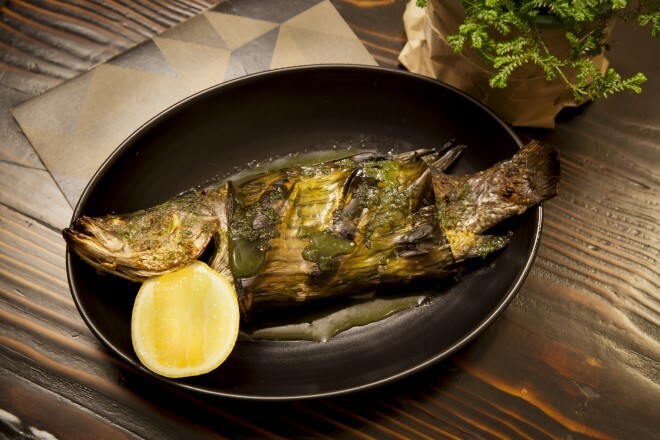 For main we settled on one grilled dish (whole baby barramundi – Pezcado Amazonico) and one smoked dish (slow roasted pork shoulder – Paletilla de Cerdo) with a large selection of vegetarian sides and the tastiest quinoa corn bread. Salad highlights were definitely Las Papas y Vegetales Pachamanqueros (smoked potatoes, pumpkin and carrots with chocolate and beetroot crumbs) and Tallos de Agelga (grilled silverbeet stems, red vein sorrel, confit brown onion hearts and garlic chips). Despite feeling quite satisfied, our decision on dessert was determined by an SMS from one of our dinner guests who hadn’t made it “make sure you have the doughnuts”. So we did. 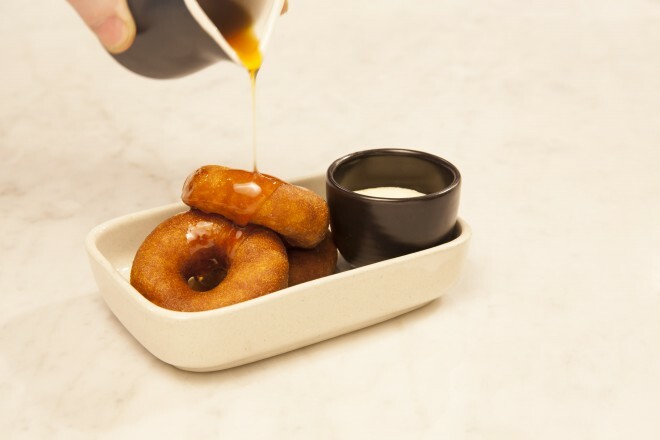 And these are not just your regular doughnuts. These ‘Picarones’ are made from sweet potato and pumpkin, doused in fruity sugar syrup and served with white chocolate mousse. Ah-mazing!